You’d be hard-pressed to find better open water conditions than Providenciales for learning or training. Swim training at Grace Bay. 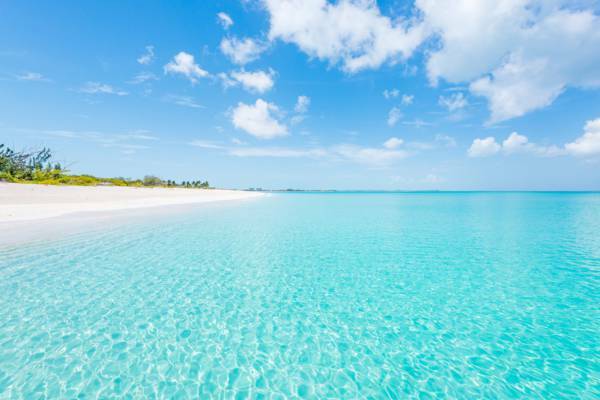 The Turks and Caicos, and Grace Bay Beach in particular, offer some of the best conditions in the world for open water swimming. Our clear and generally calm waters allow swimmers to see fascinating marine life, including stingrays, barracudas, and, on occasion, dolphins. Grace Bay is the perfect destination for swimmers training for upcoming races and triathlons, as well as beginners looking for a benign environment to learn in. Several local businesses offer swim both lessons with certified and experienced instructors and guided safaris. Powerboat and stand up paddleboard escorts are also available, and such trips can be tailored for any distance. Perfect conditions at Leeward Beach. Everyone, regardless of where they live or what their occupation is, should know how to swim. It’s never too young to begin swim lessons, and many of the local instructors provide training and equipment especially designed for children. The contiguous north Providenciales coasts of Grace Bay Beach, Leeward Beach, and the Bight Beach are incredible locations for swimming. Sheltered by the northern Caicos barrier reef, these sites offer gentle depths increases off the beach to about 12-25 feet (4-8 meters) in the central bay. Ocean conditions at the central Providenciales beaches are typically excellent. Currents, under pulls, and irregular waves are very uncommon. The spectacular cays and beaches between Providenciales and North Caicos are an incredible setting for long distance swims. The Race for the Conch starts! Most of the Grace Bay resorts have roped off swim zones where boats are prohibited from entering. We advise remaining in these zones. Know your physical limits. Do not try to swim out to the barrier reef. Be aware of boats. Some boat captains are reckless. Even swimming along the shore can be precarious if you cross boat channels. Do not venture from the coast unless you are with a knowledgeable guide. 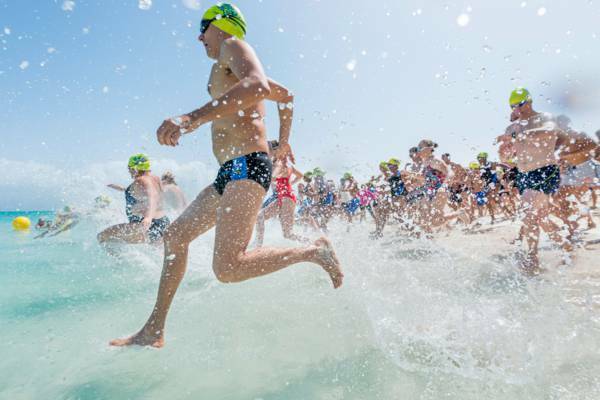 Several annual swim events take place on Providenciales. 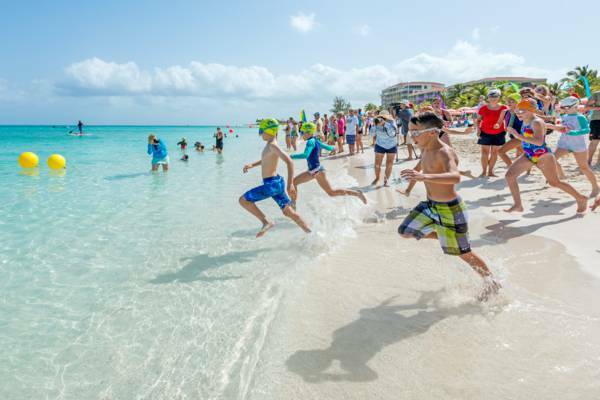 The Turks and Caicos Race for the Conch Eco-SeaSwim is the premier swim competition in the Turks and Caicos. Scheduled for the first Saturday in July, this event offers several different length races for both adults and children. The Windvibes competition, also held in July, includes short distance child and adult swim races, and kayak, paddleboard and swim relays. The Water Play Open Water Swim for Children in November and the Surfside Spring Sprint in April are two more swim events to choose from. The start of the children's event at the Race for the Conch. Caicu Naniki Vacation Adventures offers private and custom experiences, including lifestyle introduction tours for prospective residents and real estate purchasers in the Turks and Caicos, stand-up paddle board rentals, tours to North and Middle Caicos, swim lessons and swim safaris, and excursions to Northern Haiti.